Mixture of ground coffee 100% Arabica. 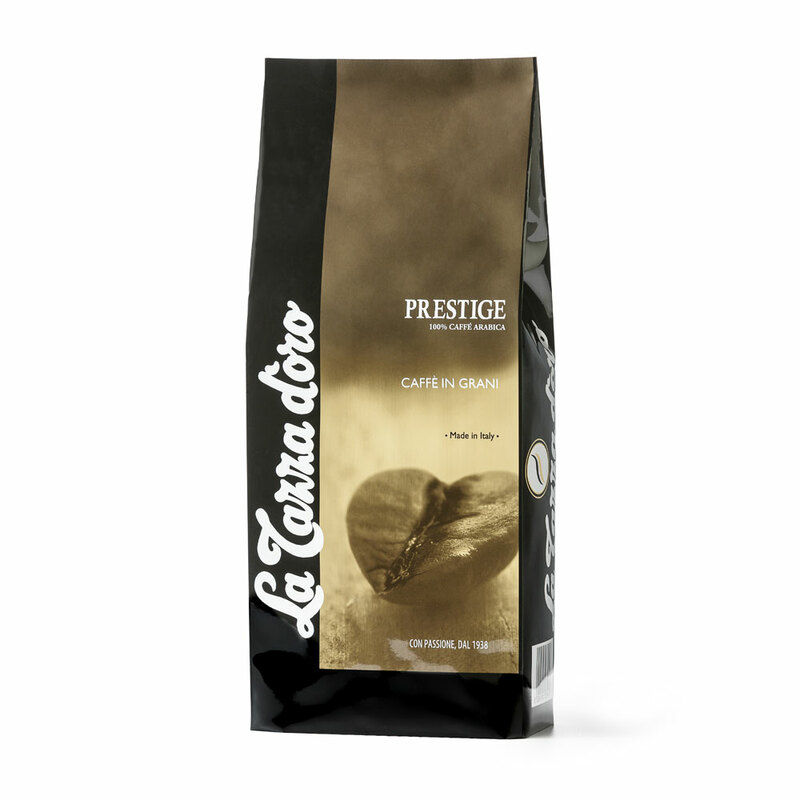 For real espresso coffee lovers, La Tazza d'oro Prestige is made from a refined selection of 100% Arabica beans from Brazil, Guatemala, Costa Rica and Ethiopia. Experience the excitement of savoring a sweet soft coffee blend with light flavors of toasted bread and a pleasant almond note. Treat yourself with a delicate aroma with cents of citrus and a smooth “crema” with hazelnut color– the perfect accompaniment to any dessert. A fine and noble mixture with a medium body that will lead you on a journey of rich emotions. Grains ready for grinding are packed in 1,000-gram bags.